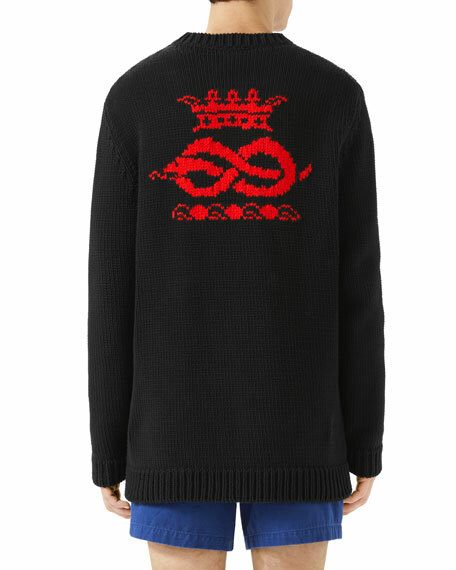 Gucci sweater with intarsia-knit typographic. 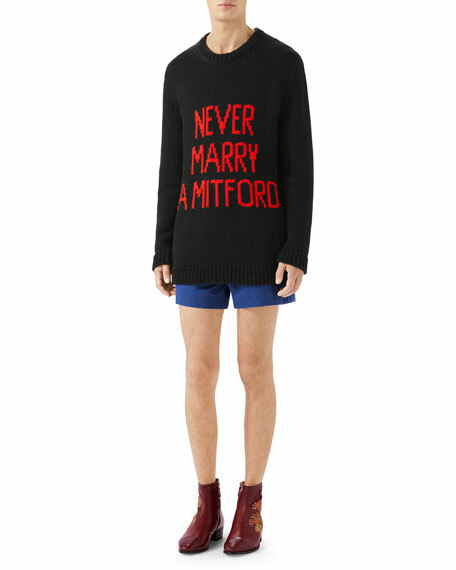 Graphic: "Never Marry a Mitford." For in-store inquiries, use sku #2499412.